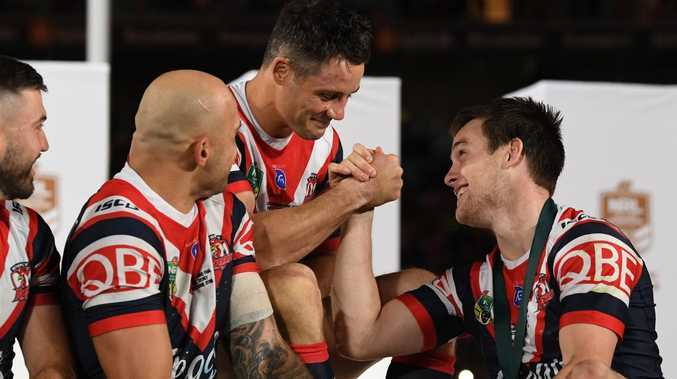 Cooper Cronk has handed his Sydney Roosters halves partner Luke Keary some stunning praise, declaring the five-eighth's Clive Churchill-winning grand final performance proved "he has the temperament to play in every rep jersey for the next 10 years". Keary turned 27 last month and his career appears to be on a remarkably similar path to what Cronk's was at the same age. Both had played in two winning grand finals by the time they were 26, and the most exciting thing for Keary is that Cronk's best years came after that. While Cronk got his first Queensland jumper playing off the bench at 26, he didn't get an Origin start until he was 28. Cronk ultimately went on to play 22 games for his State, and 38 Tests for Australia, establishing himself as one of the game's all-time champion playmakers. Cronk has no doubt Keary already rates among the game's elite, but will get even better. "To be honest, he is at the peak of his powers," Cronk said. "I always tease him that I spend more time on the training field than he does, so he probably needs to get that right first as opposed to getting a massage first or physio. "But I think his trajectory is on the up. There is no doubt about that." While Cronk had to wait for Darren Lockyer to step aside, Keary has his own hurdle to overcome with Penrith halves James Maloney and Nathan Cleary in the box seat to continue as the NSW halves this year after playing together in the 2018 series victory. Keary debuted for Australia in last year's end of season Tests against New Zealand and Tonga. And if he continues in the type of form he finished last season, it is going to create a huge selection dilemma for Blues coach Brad Fittler in the coming months. "Origin and Australia isn't necessarily the best players," Cronk explained. "It is the ones that have the right temperament to handle situations of intense pressure and still come up with the big play. "Now, after the week that was the 2018 grand final, for him to come out and play the way that he did and handle everything, he has the temperament to play in every rep jersey for the next 10 years." Asked if he had set himself a goal to break into the Blues team this year, Keary spoke with respect: "I don't sit there and write down personal goals or stuff like that but I think every kid wants to play Origin and Test match footy. "But I also understand, and I think Queensland did it really well for a long period of time, that you wait your turn. "I remember Cooper didn't play Origin until he was maybe 26 or 27, and he had won a couple of premierships by that stage. 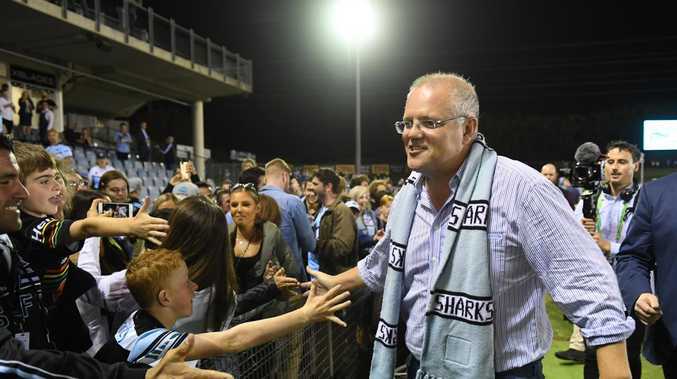 "James Maloney has done a real good job for the last three or four years and Nathan did a real good job (in 2018). "You wait your turn, and you support those boys. "I hope they start the year good and get the chance to go again. "But if the opportunity or your number gets called you take it."